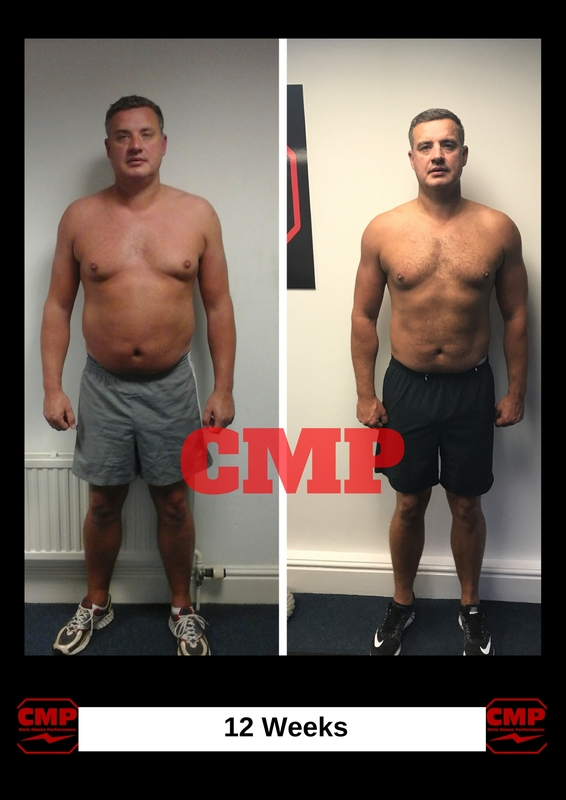 Great results Shaun, in just 12 weeks you’ve managed to lose 24lbs and 10% Body Fat in just 12 weeks! How are you feeling? I feel loads better in myself and have got way more energy, I’m feeling a lot better at work and way less tired! Working long hours, this has been a huge help to me and i’m finding that i’m not as hungry as i have been when i’ve tried to lose weight in the past. Overall, i feel much better for losing the weight and i am glad that i made the decision and joined CMP. I had seen your transformations of other Men with a similar starting position to where i was and thought, why not me? What was your reason for coming to CMP? 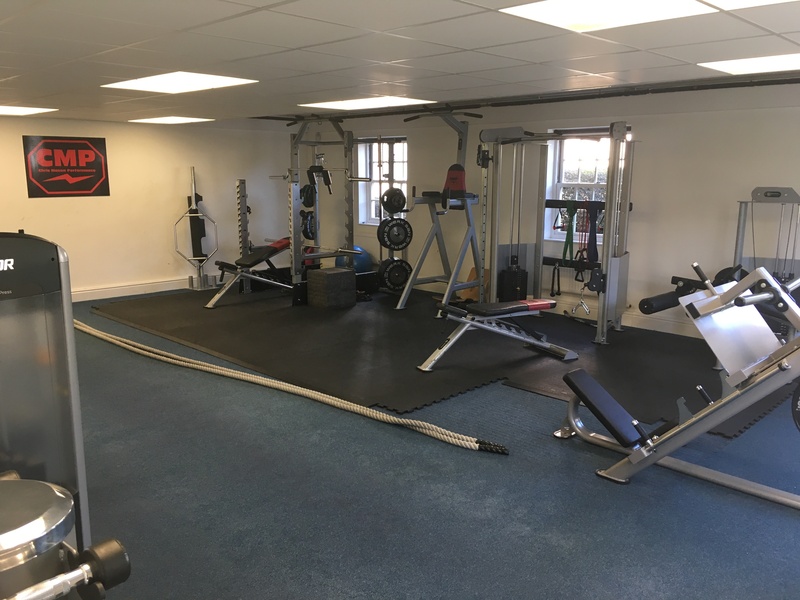 I had been doing zero exercise since breaking my leg playing football and needed some guidance as I had been letting myself go and needed to do something about it. I knew i was gaining weight and didn’t feel good in the clothes i was wearing as everything was getting a bit too tight for my liking. I knew if i had joined a gym without getting any sort of guidance on food, i would still just have done what i wanted and this wouldn’t have been enough for me to see the results that i have with you. How did you find the transformation process? What surprised you the most? The most surprising thing has been that i’ve never felt like i’m on diet. I didn’t find it restrictive at all! and what surprised me probably the most has been that over the 12 weeks I managed to have a weekend away with my friends, I had a week long family holiday in Mallorca and have been on 3 away days following my football team but still lose 24lbs and can see the outline of my abs! The results i’ve achieved considering all of this have blown me away. 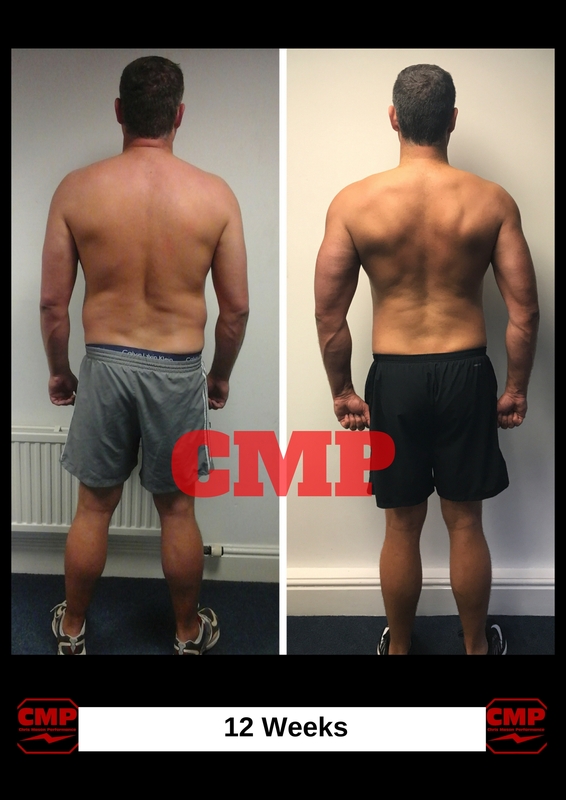 CMP gave me advice on how to make small adjustment with my diet and alcohol choices which meant I could still enjoy all these events and keep on track for success with my results. They promise to get you results if you stick to what they say and they deliver on that promise without it being a major stress on your life.